Roasting garlic, mixing sourdough, bashing butter, boiling pretzels, and on and on. What do all of these have in common? Messes!! Flour everywhere. Dough bits stuck to the toaster oven. Baking soda splashing on my stove as it hits the hot water. These are all part of my daily routine as I bake up a storm. It can feel like a hurricane plowed through the kitchen after a busy day. The worst part is that as a one-man show, clean-up always falls on me. My 3 year-old isn't too keen on assisting, unless she's making a bigger mess. The good news is that the clean up doesn't bother me very much. 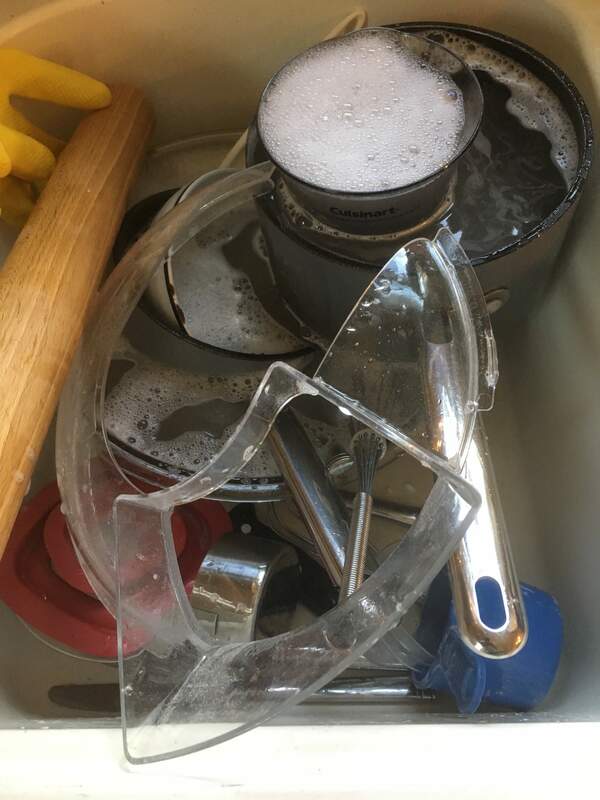 While it's not my favorite part of the day, it gives me some time to reflect on what I accomplished that day and honestly, I enjoy seeing the big mess turn into a sparkly clean kitchen. Okay, not really sparkly but much cleaner. Dough. It's so fun to work with! As I've mentioned before, I am pretty obsessed with sourdough. One of my favorite things about it is preparing the dough completely by hand, which means larger messes and more involved clean-up. 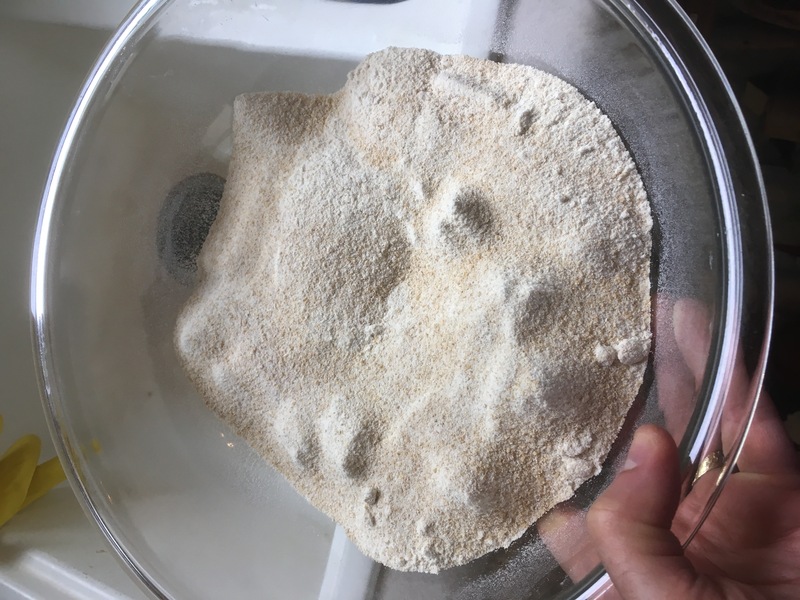 It's so fun for me to feel the difference in the dough between each step of the process, which is lengthy to allow the dough time to ferment and develop the flavor it is known for. Bashed butter. Stress relief for a baker. Butter. Such a key ingredient for many bakers! I always used to use butter sparingly, not understanding how important of a tool it is in so many baked goods. Not only that, but I'm also learning about the different types of butter. 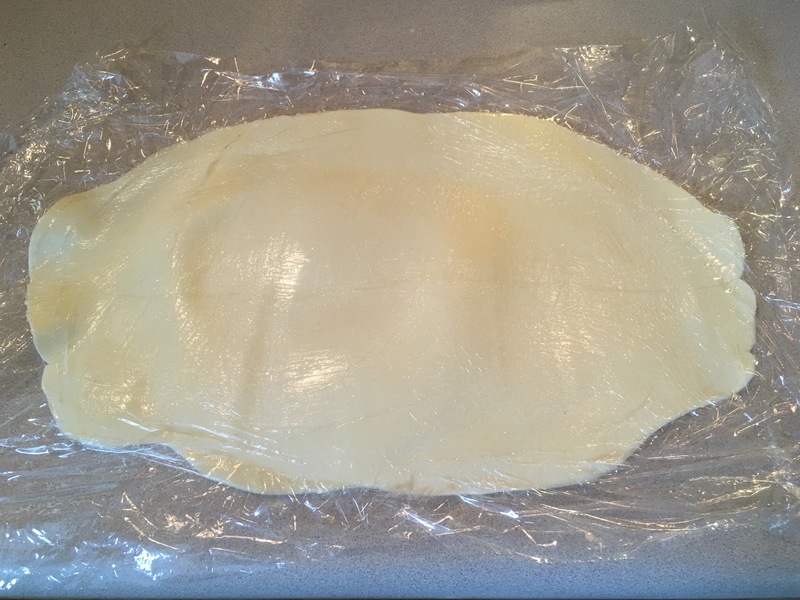 All of my French pastry mentors (via cookbooks, recipes, and some TV shows) talk about using the right type of butter, especially for laminated doughs, like danish pastry dough. Unless you're looking for it, the European style butters, which have a higher fat content, can be hard to find. Not only is the flavor boosted with this special butter, it also allows the pastry to bake properly. If the water content of the butter is too high, too much steam will escape and cause some issues with the final product. 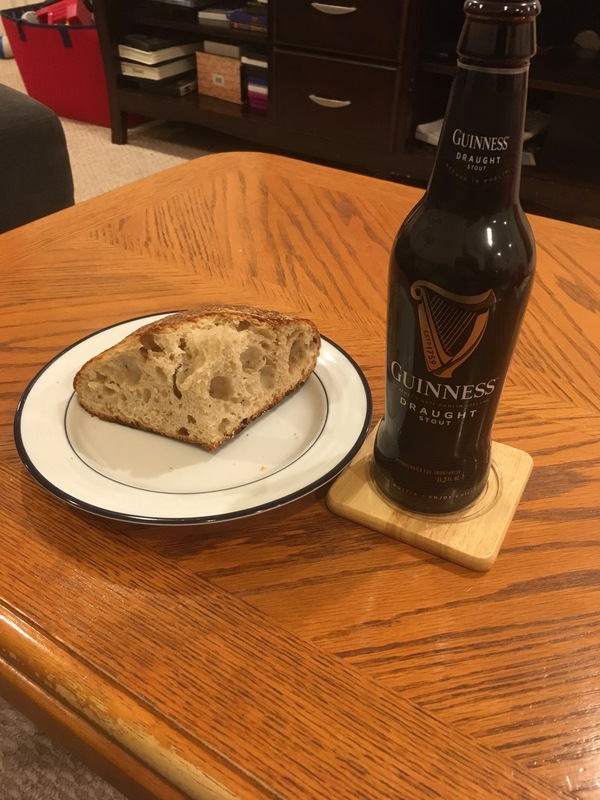 At the end of the day, this is often where I end up, chilaxing in the cool basement with my bread and una cerveza, reveling in the yumminess of both and thinking about my customers enjoying their baked goods. That's really what it's all about. Creating delicious bites to make other people happy and satiated. Recently, I've developed a keen interest in where my baking ingredients come from. While I haven't always sought out local ingredients for my baked goods, I'm becoming more observant of such things and taking steps to buy more locally sourced foods. One key ingredient that my baking wouldn't survive without is flour. After years of buying the big-name brands at my local stores, I'm seeking out some locally grown wheat, specifically the wheat berries. I recently purchased some directly from a local farm. Okay, so I got my wheat berries. Some people soak them overnight (so they can sprout) and boil them and then put them in salads or other dishes. 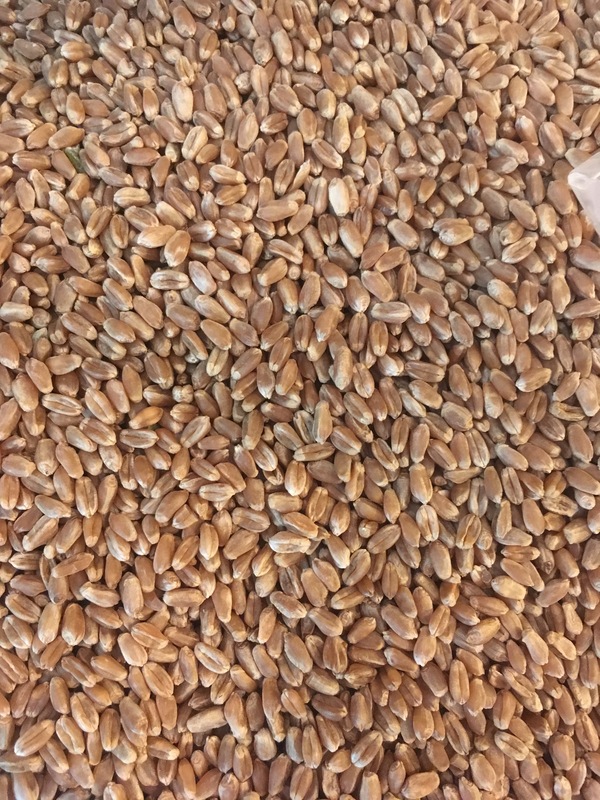 What I've learned is that these wheat berries have a lot more nutritional value than many flours (once ground) because the whole berry is intact. A lot of flours are made without the outer casing, so you no longer have the whole wheat. See where this is going? Whole wheat flour includes the entire wheat berry. Revelatory, I know! 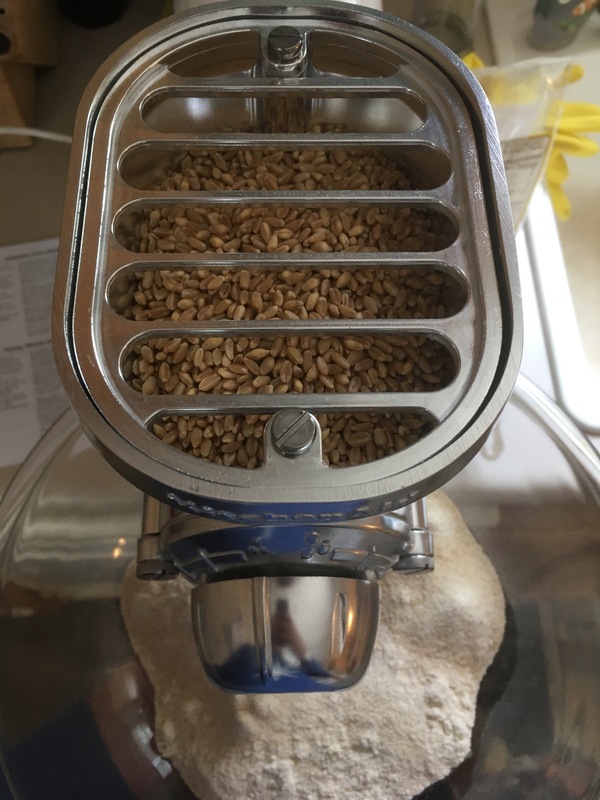 I decided to mill some flour using these wheat berries. I spent a lot of time researching flour mills, especially those that are amenable to a home without a ton of extra space. The large ones are quite pricey and would likely need their own room to contain the mess. Some counter-top mills intrigued me but it's just another appliance without good storage space. So I decided to go with the stand mixer attachment. This thing is great! It doesn't make a massive mess, it takes up little storage space, and it attaches to an appliance I already own! It does take a little while to mill enough flour for my loaves, but I'm a patient person. The other potential down side is that the flour doesn't get as fine in this mill as what I'm used to, but I was up for the challenge! Here's my freshly milled whole wheat flour. I immediately put it to use in my sourdough recipe. When I began kneading the dough, I immediately noticed a difference with this courser flour. 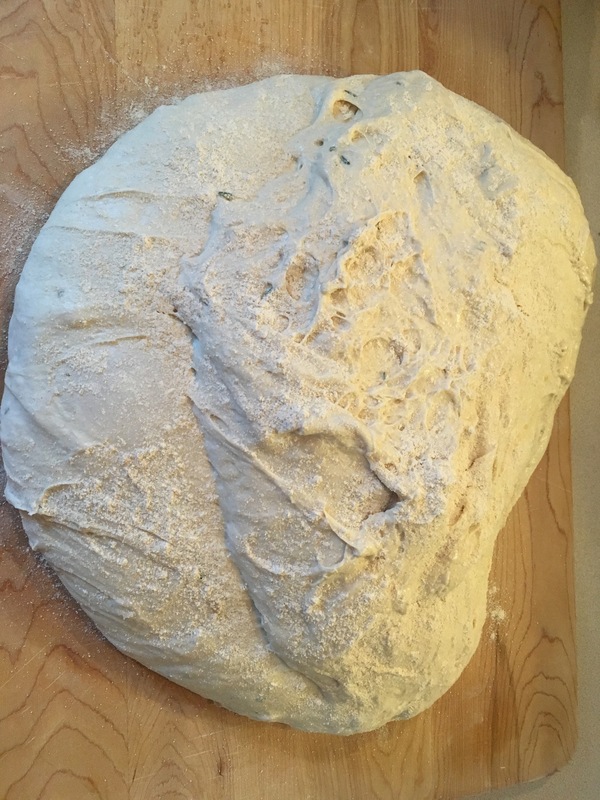 Not sure how it would turn out, especially uncertain about the proportions compared to my go-to recipe, I forged ahead and followed the usual sourdough bread routine. There are some clear differences between my typical sourdough bread and this one, but I was very happy with the results. The crust was crusty, the interior was denser than usual but fairly typical for a whole wheat loaf, and most importantly, it tastes great! If you like whole wheat bread, I think you will enjoy this version. Next time you order from me, feel free to ask for the whole wheat sourdough. I will happily bust out my new milling toy and prepare some for you. My week started off not according to plan. I was preparing pizza dough in my stand mixer, when it started making a strange grinding sound. Moments later, it stopped running. For a baker who uses this tool so often, it's fair to say I was miffed. With a menu to prepare during the week, my mind began racing how to manage this. It turns out that when your mixer is under a year old, the manufacturer will replace it at no cost. Hurray! Problem solved, right? No. "You can expect your new mixer in 5-7 business days." CRAP!! My messy project today. It's easy to forget that a small mixer won't hold as much as a big mixer, right? I remembered that my old 4.5 quart mixer was in the basement collecting dust. This is the one my wife and I got a million years ago when we got married. 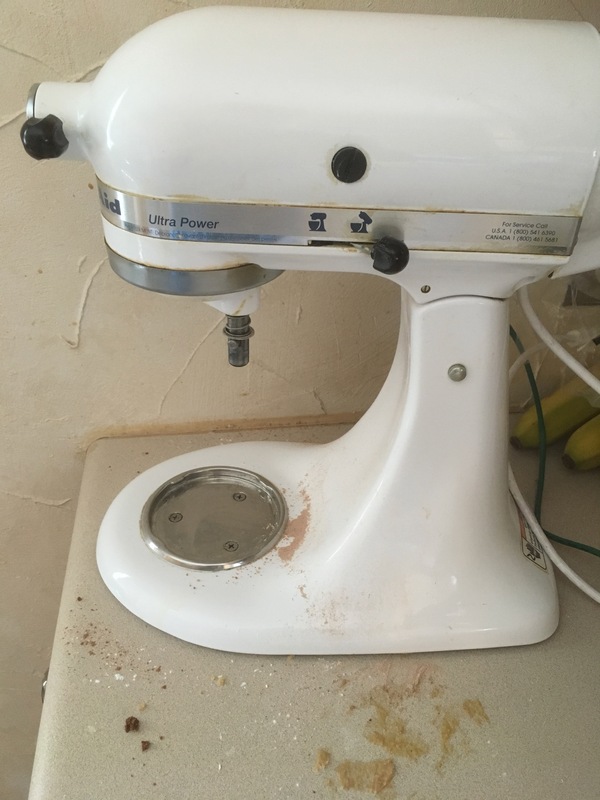 Isn't it slightly unusual that this little thing has lasted 16 years but my 10 month-old 6 quart mixer that I got for Father's Day last year will never see its 1st birthday? Dough. It's what my whole business is based upon. I need it. I knead it. Ah ha! I knead it. That's my solution for this week. I can make certain things in my old "tiny" mixer and the rest, by hand. It's perfect! Dough is a stress reliever. It's a workout for the arms. In some ways, it's actually better than using a mixer. You can feel the progress of the gluten developing with your hands, rather than with a timer while the mixer does all the work. 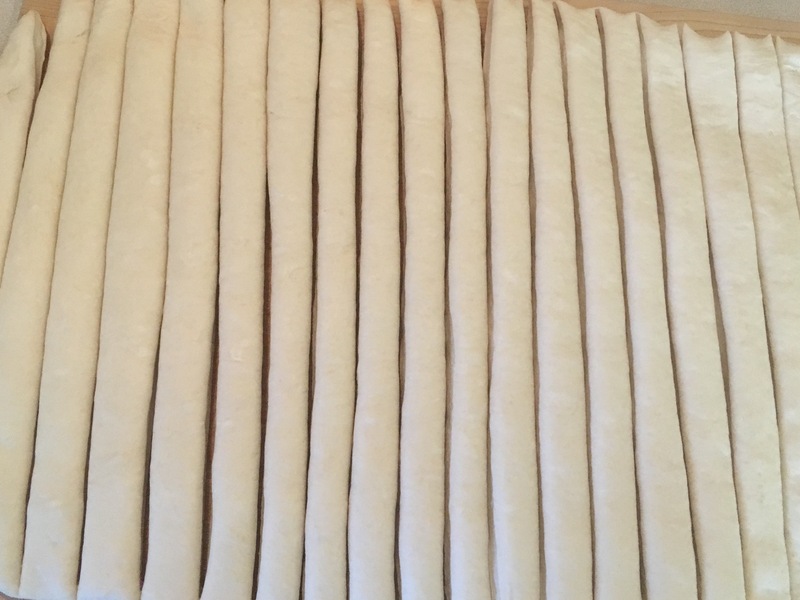 Some doughs are easier to knead by hand than others. I use a lot of bread flour, which requires a longer kneading time than all-purpose flour. 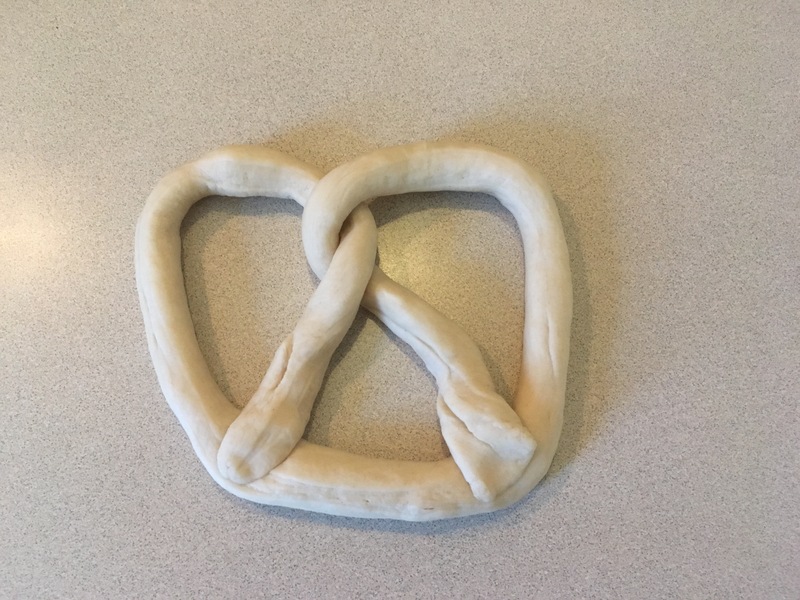 My biggest challenge this week was the pretzel dough. It's a very dense dough and requires quite a bit of elbow grease before it rises. Luckily, the pretzels turned out nicely. Sourdough is by far my favorite type of bread. If I have a loaf on my counter, which I usually do, I manage to incorporate it into just about every meal and snack. I'm like a hobbit when it comes to sourdough. My appreciation for sourdough increased this week because I don't use a mixer to prepare it. It's all by hand. After this fiasco with my stand mixer, I intend to make more of my doughs by hand. It may take more time but I thoroughly enjoyed the experience, even though it was forced on me. Not a bad life lesson! 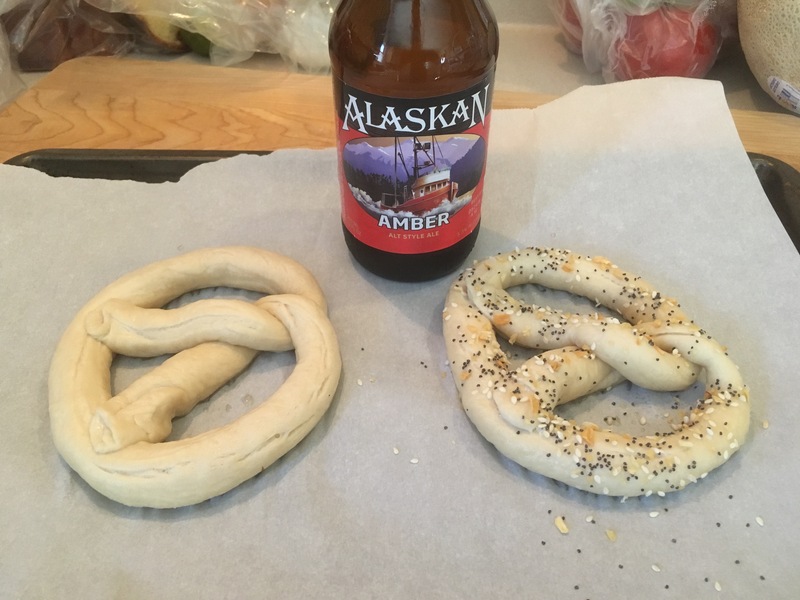 I have to credit my wife, Jill, and her family for sparking my interest in baking soft pretzels. I also must recognize the Great British Baking Show for more inspiration. My family's favorite contestant, Richard Burr, came out with a fabulous cookbook, "B.I.Y. Bake It Yourself," which has a solid pretzel recipe. Check out Richard's website for his baking, building, charity work, and family-related insight: https://richardburr.london/page/2/. 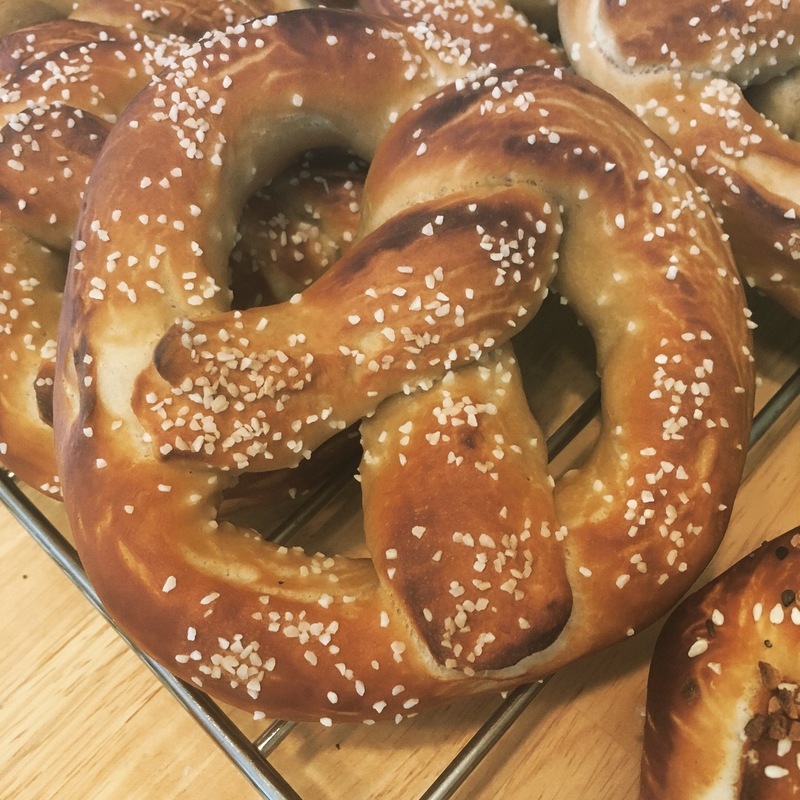 Baking pretzels does take some time but the result is so worth it! Although I'm not a science guy, the chemistry behind the process is pretty fascinating. Many professional bakeries use a lye solution to dip the pretzels in before baking. It provides the color and flavor that pretzels are so well known for. Since lye can be tricky to work with, I boil my pretzels in a solution of water, brown sugar, beer, and baking soda instead. The result isn't identical to lye-dipped pretzels, but my customers aren't complaining. 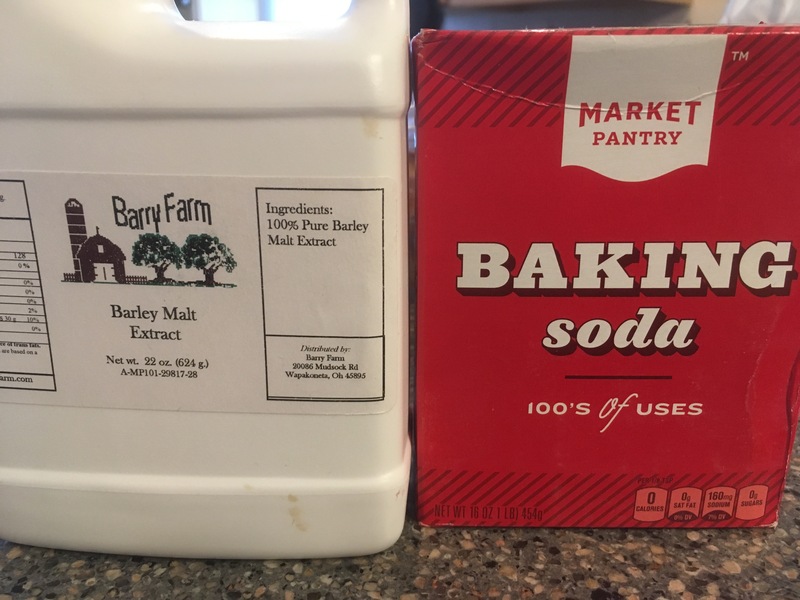 The barley malt extract replaces sugar in the dough to add a malty flavor. Whatever beer I have in the fridge goes into my boiling solution. Any left over goes in my belly! 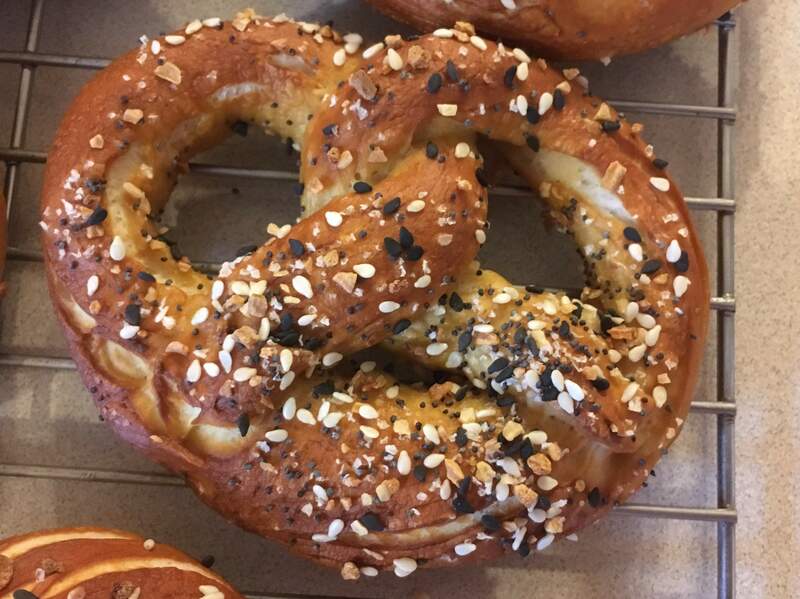 Once the pretzels have boiled briefly, they're placed on baking trays and topped with special pretzel salt or my favorite, everything (bagel) topping. They are then baked at a high temperature to achieve the beautiful crust and chewy interior that makes them so great! I'm the only one in my immediate family that insists on adding good mustard to my pretzel. I have at least 3 different types of mustard in the fridge for such occasions. If you are in the Twin Cities area, I usually offer pretzels on my menu on Mondays. Happy weekend! 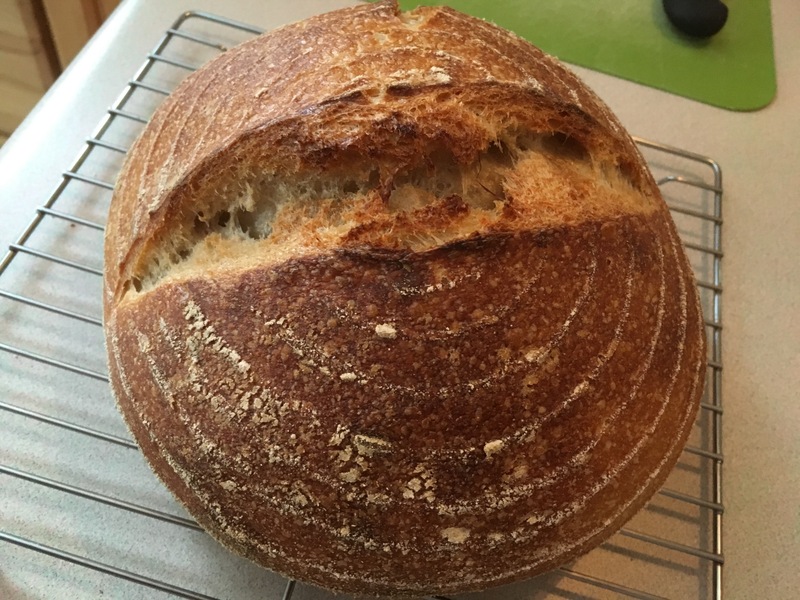 One of my primary motivators to bake is my quest for amazing, local sourdough bread. 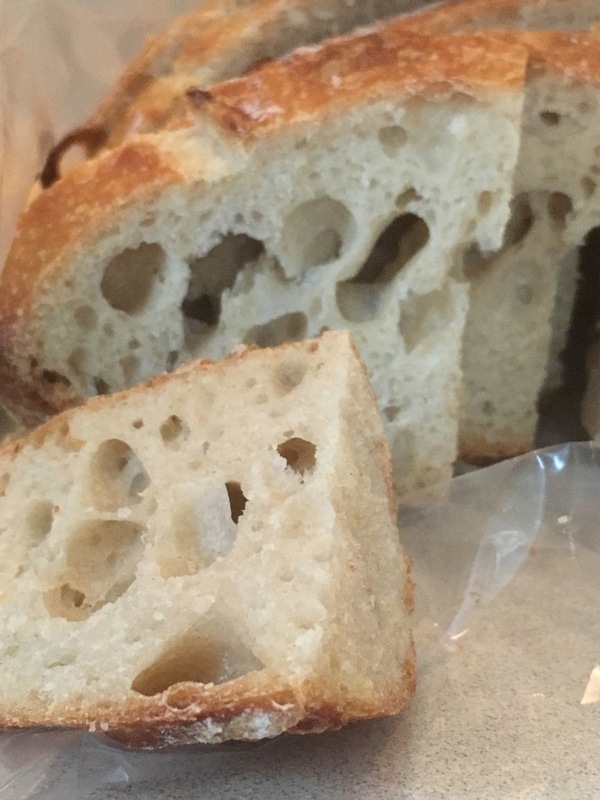 The Twin Cities bakery scene certainly has some contenders but I wasn't always satisfied, perhaps because I was spoiled for so many years with authentic San Francisco sourdough bread. 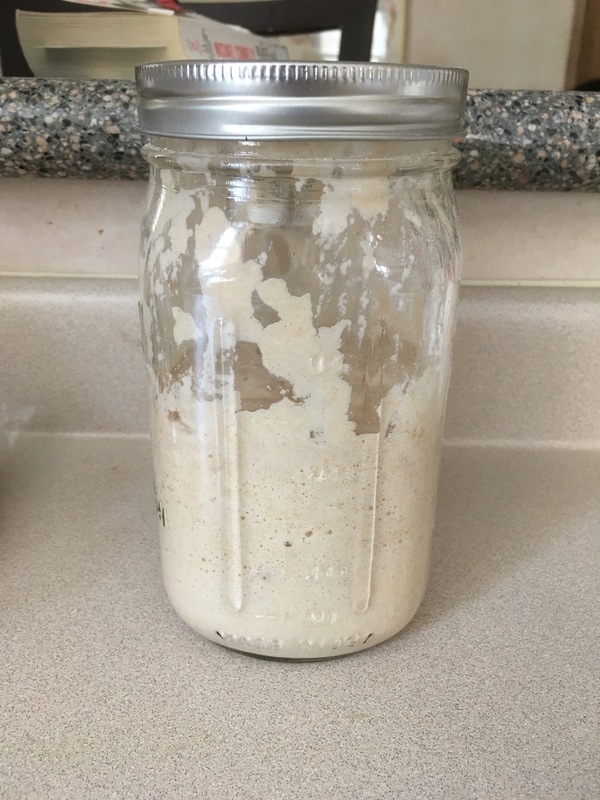 I started researching how to get started on homemade sourdough a few years ago. Many websites encourage you to find a bakery or individual who can pass along some of their starter. I did this and it turned out okay but not amazing. Once I realized how easy it is to start one from scratch, I knew I was on the right path. 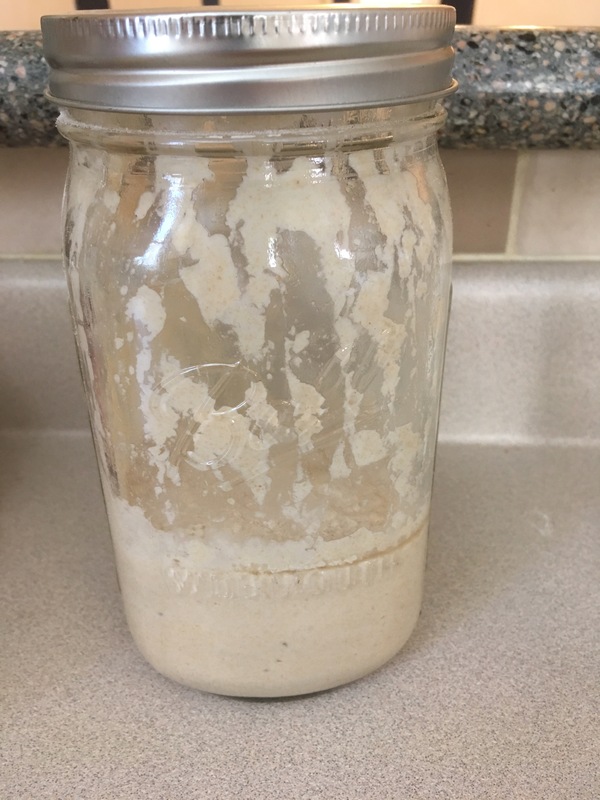 I have to give credit to my little brother for sharing a solid recipe for sourdough starter and loaves. Thanks, bro! It's really incredible to watch what happens after removing half the starter and replacing it with equal parts flour and water. This process of activating the starter is repeated a few times before being used for baking. 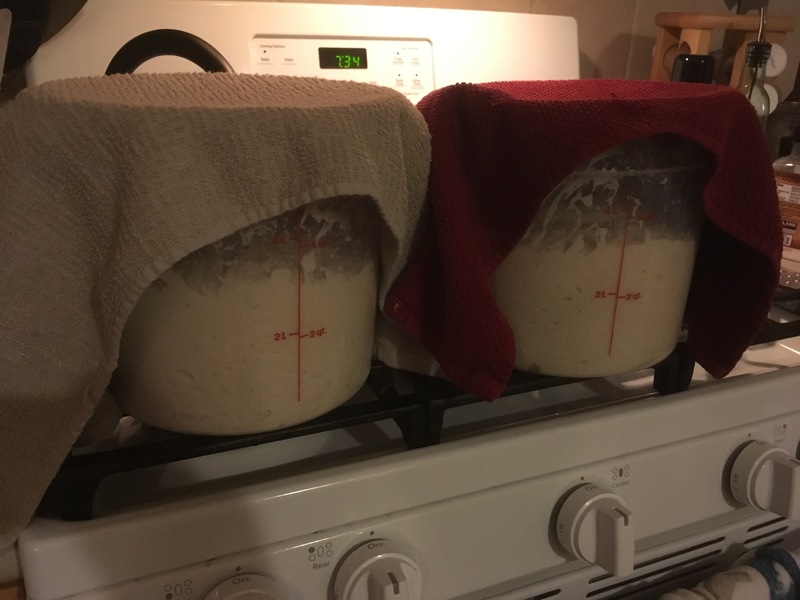 The natural yeast in the air is all this starter needs to give a lift to my loaves. I've been asked why orders for sourdough need to be placed a couple of days before they are available. As you can see above, there are many stages to preparing the starter in advance. 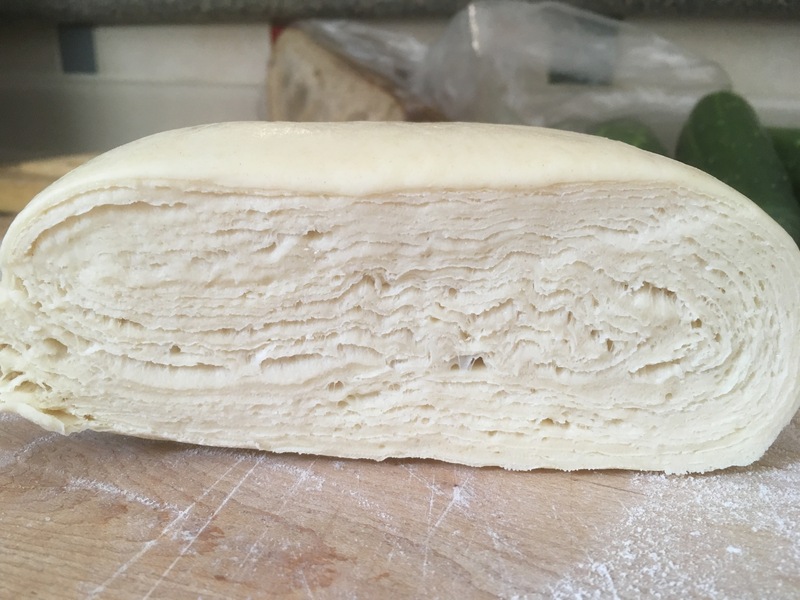 Once the starter is active and bubbly, the dough starts to come together, which requires about a day's worth of rising and developing the sour flavor. If you've had decent sourdough bread, you know the wait is worth it! And there it is! 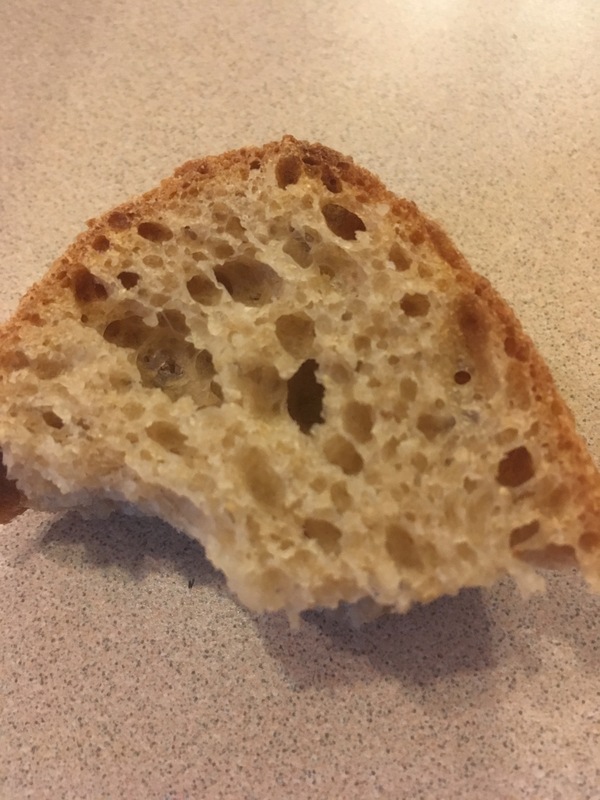 I nice crusty loaf of bread with a soft, airy interior that makes up about 65% of my diet! If you live in the Twin Cities area and are interested in learning how to make sourdough bread, please contact me. 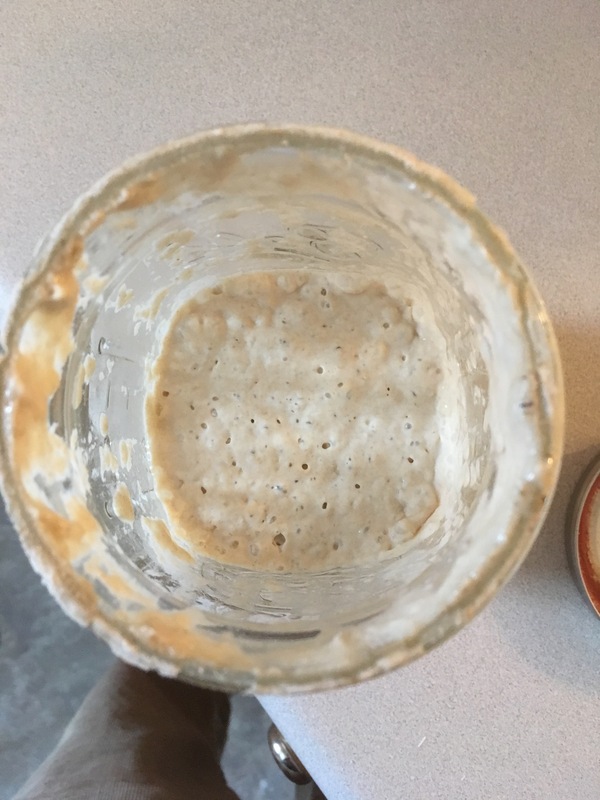 I'd be happy to share some starter with you or help you make your own. Otherwise, it will always be on my weekly menu!